Q: Trialling your menu maker. Was trying to get the tabs dhtml menu bulder working,but it gives me the error "Tabs[...].id is null or not an object" within the program and under IE7, but not under Mozilla Firefox. Obviously the tabs will be used on my website, of which 80-90% of traffic is MS-IE. Do you know about this problem, and is there a fix. This will be a major stumbling block against me buying the product if this problem is not fixable. Q: It works almost ok BUT without the use of Deluxe Tuner. It seems NOT to be able to provide such results for the creation of popups when a link is clicked (not when a page is loaded). On top of that, what am I supposed to enter in the actions tab in the popup generator? And what is more, when I click on the 1st link I get a fine sample but when I click on the 2nd one, background colour of the 1st link appears for a about second. How do I get rid of that? 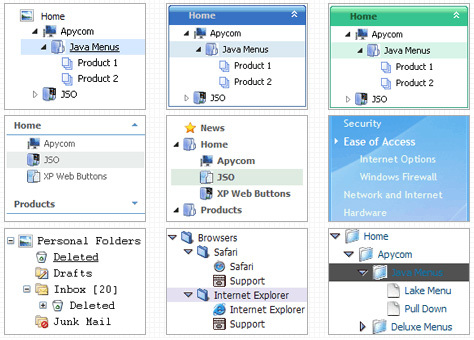 For example you want to open a popup onMouseover, onClick oronMouseout on a link. > do I get rid of that? You have such effect because you use fade-effect for your popupwindows. Q: I'm loving your product! It has definitely made my life easier. I do have a question however. I know if I put a "+" in front of the title, the category will be expanded by default. Is there a way to do that dynamically? 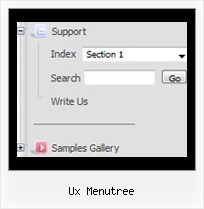 Maybe have some code that would tell the sliding tree menu to expand on that particular page?